Zora Neale Hurston is considered one of the titans of twentieth-century African American literature. Although Hurston was closely associated with the Harlem Renaissance and has influenced such writers as Ralph Ellison, Toni Morrison, Gayl Jones, Alice Walker, and Toni Cade Bambara, interest in her has only recently been revived after decades of neglect. Hurston's four novels and two books of folklore are important sources of black myth and legend. Through her writings, Robert Hemenway wrote in The Harlem Renaissance Remembered, Hurston "helped to remind the Renaissance--especially its more bourgeois members--of the richness in the racial heritage; she also added new dimensions to the interest in exotic primitivism that was one of the most ambiguous products of the age." Born January 7, 1891, in Eatonville, Florida, United States; died January 28, 1960, in Fort Pierce, Florida, United States; daughter of John (a preacher and carpenter) and Lucy (a seamstress; maiden name, Potts) Hurston; married Herbert Sheen, May 19, 1927 (divorced, 1931); married Albert Price III, June 27, 1939 (divorced). She attended Howard University, 1923-24; Barnard College, B.A., 1928; graduate study at Columbia University. Check out Hurston’s popular Glossary of Harlem Slang terms circa 1930’s. Also check out Speak, So You Can Speak Again: The Life of Zora Neale Hurston by Lucy Hurston and Zora Neale Hurston: A Life In Letters by Carla Kaplan. Older black writers criticized Hurston for the frequent crudeness and bawdiness of the tales she told. The younger generation criticized her propensity to gloss over the injustices her people were dealt. According to Judith Wilson, Hurston's greatest contribution was "to all black Americans' psychic health. The consistent note in her fieldwork and the bulk of her fiction is one of celebration of a black cultural heritage whose complexity and originality refutes all efforts to enforce either a myth of inferiority or a lie of assimilation." Wilson continued, "Zora Neale Hurston had figured out something that no other black author of her time seems to have known or appreciated so well--that our home-spun vernacular and street-corner cosmology is as valuable as the grammar and philosophy of white, Western culture." Their Eyes Were Watching God is generally acknowledged to be Hurston’s finest work of fiction. Still, it was controversial. Richard Wright found the book to be "counter-revolutionary" in a New Masses article. June Jordan praised the novel for its positiveness. She declared in a Black World review: "Unquestionably, Their Eyes Were Watching God is the prototypical Black novel of affirmation; it is the most successful, convincing, and exemplary novel of Blacklove that we have. Period. But the book gives us more: the story unrolls a fabulous, written- film of Blacklife freed from the constraints of oppression; here we may learn Black possibilities of ourselves if we could ever escape the hateful and alien context that has so deeply disturbed and mutilated our rightly efflorescence-- as people. Consequently, this novel centers itself on Blacklove—even as Native Son rivets itself upon white hatred." Hurston's autobiography, Dust Tracks on a Road, was reissued in 1985 with many chapters that had been deleted restored. The publication of this book coincided with the rediscovery by many contemporary black writers-especially Alice Walker—of the excellence of Hurston's work. The work is lengthy and tends to ramble; Hurston organized the tome around several visions she had that signified her life as an artist. In the work she delves into her childhood, when the death of her mother sent her to a boarding school where she was ignored by her family. The autobiography also traces Hurston’s out-of-fashion views of racial issues, such as her opposition to desegregation and her belief that blacks should not consider themselves victims of racism. At the time of the original release of this book in 1942, she was soundly criticized for these views from leading black authors of the day, including Richard Wright, a fact which perhaps led to her fading popularity. However, with the new material in this book, Hurston is able to explain further many of her ideas. The last four paragraphs Excerpted from Information provided by Gale Research. Visit Hurston’s Offical Website. 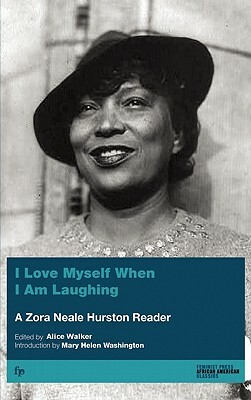 Tell us how much you like Zora Neale Hurston.